Here in Colorado and in most other states, a number of drivers are charged every year with driving under the influence solely because they fail a breathalyzer test. But the biggest questions most defendants have include are breathalyzers reliable and can a DUI attorney in Denver help you be acquitted even if you fail a breathalyzer test? WHAT’S THE PROBLEM WITH BREATHALYZERS? Most people do not realize that breathalyzers are frequently inaccurate, and the devices can provide false readings for a number of reasons. That’s why, if you are charged with driving under the influence in Colorado on the basis of a breathalyzer exam, you must take your case immediately to a DUI attorney. You are about to learn why breathalyzer devices so frequently return false positives, and you’ll also learn how a skilled DUI lawyer can defend you against a driving under the influence charge here in Colorado. WHAT BREATHALYZERS DO POLICE AGENCIES USE? In 2018, amazing progress is being made in fields like robotics, electronics, medicine, and molecular science. It is difficult to believe that law enforcement agencies in the state of Colorado are still using technology from the 1950s. That’s right. The breathalyzer devices that are in use by police agencies today are based on the same technology that was used more than six decades ago. Breathalyzer devices can return false positive readings from a variety of foods, medicines, and non-alcoholic beverages. Yeasts, for example, create residual alcohol traces in bread that may still be detected long after the bread is first baked. Most over-the-counter cough syrups and mouthwashes include a trace of alcohol. Ripe fruits, macadamia nuts, pecans, certain energy drinks and protein bars, and a variety of other food items will also return a positive reading for alcohol. Even perfumes, colognes, and breath fresheners can be responsible for a false positive reading on a breathalyzer test. ARE SOME BREATHALYZERS MORE RELIABLE THAN OTHERS? Two kinds of breathalyzer devices are currently in use. The breathalyzers using a platinum fuel cell, while not infallible, tend to be more reliable than the breathalyzers that use semiconductor sensors. Breathalyzer devices that use semiconductor sensors will detect ketones – natural bi-products of digestion – that chemically resemble alcohol molecules. Ketones in the breath will predictably skew the results of a breathalyzer test if the breathalyzer device uses semiconductor sensors. CAN MEDICAL CONDITIONS CAUSE FALSE BREATHALYZER READINGS? Even some medical conditions can cause a false positive breathalyzer result. Anyone who suffers from gastroesophageal reflux disease, diabetes, hypoglycemia, or from a rare condition known as “auto-brewery syndrome,” could be wrongly charged in Colorado with driving under the influence. Breathalyzers – and particularly the breathalyzers that use semiconductor sensors – are outdated, unsophisticated devices. Nevertheless, breathalyzer tests are the evidence that convicts scores of drivers in Colorado and other states every year. WHAT ARE THE OTHER PROBLEMS WITH BREATHALYZERS? Breathalyzers frequently malfunction. The device must be regularly calibrated and maintained. But even with routine maintenance, some breathalyzers are sensitive to radio frequency interference (RFI), which is in the air whenever police officers are using their radios and walkie-talkies. RFI is another reason for false positive results. Another concern is that the breathalyzer device itself is not always the problem with a breathalyzer exam. Even when the device is in proper working order, a breathalyzer test that is not properly administered can also deliver a false positive result. Officers must be specially trained to administer breathalyzer examinations legally and according to standard procedures. If an officer does not follow the procedures precisely, the test results could be wrong. Another problem with breathalyzer devices is only starting to be identified and understood. If an airbag deploys before a driver blows into a breathalyzer, the chemicals that the airbag releases can enter the driver’s lungs and skew the test results. 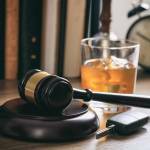 WHAT IS COLORADO’S DUI LAW? Colorado law presumes that if your blood alcohol content (BAC) level measures at or above 0.08 percent on a breathalyzer test, you are driving under the influence. But some motorists who measure high BAC levels haven’t had a drop of alcohol. That means the law’s presumption is sometimes wrong. Take no chances. If you are wrongly charged in this state with driving under the influence, you must reach out and obtain a skilled attorney’s help at once. 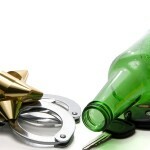 WHAT SHOULD YOU DO IF YOU ARE SUSPECTED OF DUI? 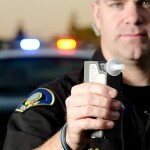 • Do not plead guilty just because you tested positive on a breathalyzer test. • Contact an experienced Denver DUI attorney, and do not accept any deal or plea bargain or sign any legal documents before you have that attorney’s advice. 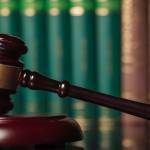 HOW DOES A DUI LAWYER DEFEND DUI SUSPECTS? 1. Was the officer who administered the breathalyzer test properly trained? 2. Was the breathalyzer test properly conducted? 3. Was the breathalyzer device properly maintained and calibrated? A good DUI lawyer will determine if the police had probable cause to stop you for suspicion of DUI in the first place. In fact, if the police violated any of your legal or constitutional rights when you were stopped, questioned, searched, or arrested, your attorney may be able to have the charge against you dropped. WHERE CAN YOU TURN IF THE “USUAL” DUI ADVICE DOESN’T WORK? The usual advice for avoiding DUI trouble is advising drivers “Don’t Drink and Drive,” and that’s always good advice. But if you are charged with driving under the influence in Colorado and you haven’t had a drop to drink – but the breathalyzer device says otherwise – you are going to need help from a knowledgeable and experienced Denver DUI attorney, and you will need that help immediately. The penalties for driving under the influence in this state are harsh but fair – unless you’re innocent. A DUI lawyer will use every necessary legal tool to make certain that your rights are protected and that you are treated fairly by the court. Whether you are innocent or guilty of driving under the influence in Colorado, if you are charged with the crime, it is imperative to retain a lawyer’s help as quickly as possible. It’s also your right.